I have enjoyed CA duties for more than 20 years with Bays Chiropractic, and within this time have built close contact with many of our long standing patients, and continue to love the patient to CA interaction. I am married with three children am lucky enough to have seven gorgeous grand children. I am married to Roger and we both love fishing, boating and travel. I started as a chiropractic assistant at Bays Chiropractic in 2016 following a career in nursing. As I have always been interested in natural approaches to healthcare I really enjoy my part time position here. I am married to Carl and we have 2 fun and active children who keep us busy with their sporting and dancing commitments. We live on a small lifestyle block with an olive grove and our alpacas and as a family we love any outdoor adventures that involve hiking, boating and mountain biking. Christine has been interested in and had businesses in wellbeing for many years. When she’s not at Bays you will find her spending time with her family, knitting and reading (at the same time), meeting a friend for coffee or encouraging folk to use organic and ethical food. She is a consultant for World Organics skin care, makeup and baby care products. She and her husband have five adult children, who were home-schooled, and their first grandchild. Besotted is an understatement. Originally from the Netherlands, I have been in New Zealand for 30 something years. This is where I first learnt and started working as Chiropractic Assistant. Most of my working life has been in chiropractic offices. This has been a positive influence and education and has caused me to investigate and make important health decisions for my family. As a result my children are not vaccinated, so far had a drug free lifetime and regular chiropractic care. 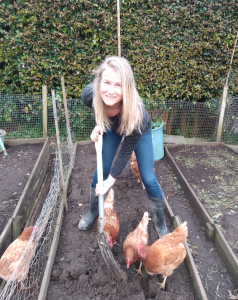 When I am not homeschooling the children or at work, I like to spend time in the garden and growing whatever vegetable or fruit that will grow, helped on by the chickens. Debra joined the CA team in 2018 and enjoys working in an environment that enables her to interact with our existing and new patients. Outside of work Debra keeps busy with her three young children – life is very much on the go! She loves family holidays and getting outdoors for walks and bike rides. Debra has a strong interest in health & wellbeing and values the benefits of chiropractic care. Eugene is not new to the profession; after graduating in 1980 he worked at orthopedics hospital back in Russia as well as looking after sports teams at a national level. After immigrating to New Zealand in 1994 he was providing physiotherapy services to RNZAF at Whenuapai base and RNZN base Devonport for over 20 years. These were exciting and busy years as he was involved not only in maintaining wellbeing of entire Auckland-based military community but also meeting highly demanding operational requirements of New Zealand Defense Force. Eugene is experienced in all aspects of injury management as well as care for chronic musculoskeletal problems. He treats the whole person and looks for the underlying physical, biomechanical and psychological cause of the problem. Eugene lives in Chatswood with his wife Elena and their young daughter Maria. He also has two sons, 37 and 30 years old, both medical professionals. His passion is travel and photography, he travelled with his camera to many exotic and remote places. James is from Korea and came to New Zealand 20 years ago. James is ACC registered and can help with a wide variety of symptoms including menopause, PMS, fatigue, pain and allergies. James is married with two sons aged 23 and 32. James has been with Bays Chiropractic since early 2013. Yolande trained at the Canterbury College of Natural Medicine in 2000 and then operated a busy massage room out of the Clarendon Tower health Club – sadly both are now gone due to the Christchurch quakes. Her husband’s job transferred to Auckland saw the family relocate with a 2 and a 3 year old. 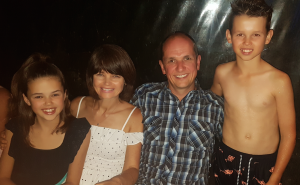 Yolande’s priority then was to get the family settled and to set up the support through new friends that you need when raising a young family with no actual family around. 13 years later the family are very settled and now it is time for her to get back into massage. 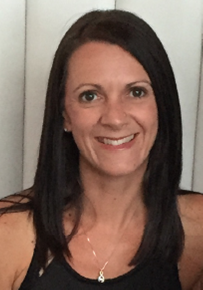 Yolande provides quality Sports Massage, Deep Tissue Massage and Trigger Point Therapy to help clients with pain relief, better body function to assist with sporting goals and general relaxation and well being. Each massage is specific to the individuals needs as we are all so unique – one type of massage does not suit all! She is no athlete but is a very active person keeping fit with regular gym sessions, running and paddle boarding year round which gives her a continual reminder of how the body reacts to physical activity and the need to look after it so that it will function at its best for a long as possible.